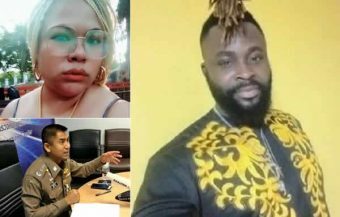 It has now emerged that the killer of a Thai woman at a Bangkok hotel last Sunday was a Nigerian who has been identified as 38 year old John Odoemenam. The African was using a fake passport with the identity of a 38 year old South Africa man. It has also been revealed that the Thai woman, who ran a lucrative jewelry export business, had been a married to a Nigerian national. The couple had three children. Thai police are now pursuing the extradition of the African who was arrested by police in Vancouver, Canada on Tuesday. 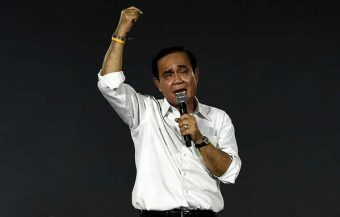 Thai Police are reported to be confident that he will be extradited back to Thailand despite fears that that suspect killer may seek to stall such a move by pointing to the possibility that he may face the death penalty for murder. Thai police are sending fingerprint data to the Canadian police in Vancouver as moves get underway to extradite an African murder suspect who is believed to have brutally killed a Thai woman and mother in her hotel bedroom on Sunday last in the course of a business meeting. 38 year old John Odoemenam is believed to have been regular customer of the Thai woman, Susama Reunrit, who operated a successful jewelry export business. An earlier name, Mzwakhe Memela of the same age, released to the media, was based on a false South African passport the killer is believed to have used. 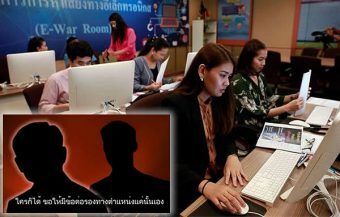 Thai police are sending fingerprint evidence to their counterparts in Vancouver, Canada to confirm the identity of the murder suspect who is believed to have brutally killed a Thai business woman in her Bangkok hotel bedroom last Sunday. It is now emerged that the killer was not a 38 year South African national as originally reported but a Nigerian national named as John Odoemenam. 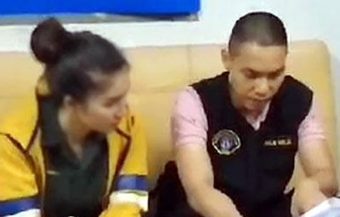 Thailand’s well known Head of Immigration Police, Police Lieutenant Surachate Hapkarn, said last week that he is pleased that the culprit in the case was apprehended within 48 hours, even though he was on the other side of the world. 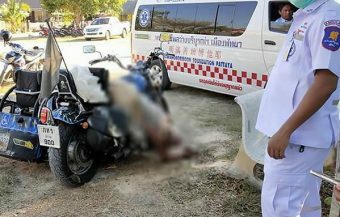 The police boss is reported to be confident that the suspect will be extradited to Thailand to face justice. 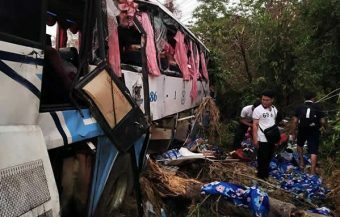 This week, the Head of Thailand’s Immigration Police said he was pleased that the murder suspect had been apprehended within 48 hours of the crime on the other side of the world. 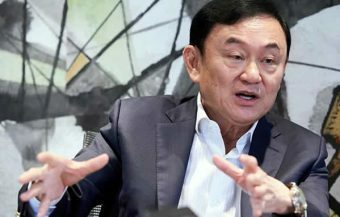 Lieutenant General Surachate Hapkarn has expressed confidence that the suspect will be extradited to Thailand although there is some concern that the African may fight the proceedings on the basis that he could ultimately face the death penalty in Thailand. It is reported that Canadian authorities are cooperating with Thai authorities seeking the African man’s extradition to face justice. The Head of Thailand’s Immigration Police has been reported as saying that the African man, suspected of murdering a Thai businesswoman and mother at a Bangkok hotel on Sunday, has confessed to the crime after being detained by Canadian police in Vancouver. 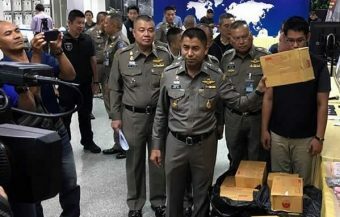 It has emerged that the Nigerian fled Thailand immediately after departing a hotel bedroom in the Lat Phrao area of northern Bangkok on Sunday morning where Thai police suspect he murdered 35 year old Susama Reunrit, a businesswoman in the jewelry trade. 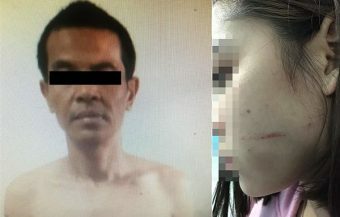 The police in Thailand believe that a business negotiation between the suspect and the Thai woman took a sinister turn after the South African man’s early morning visit on Sunday morning last. Thai police have discovered, that after having been seen leaving the Thai woman’s hotel bedroom, the African man caught a flight to Hong Kong and thereafter to Vancouver in Canada. It is understood that the suspect attempted to enter Hong Kong at one point. It is becoming clear that the African’s intention may have been, from the outset, to evade extradition as Hong Kong does not have an extradition treaty with Thailand. Hong Kong, in recent years, is reported to be a hotbed of illegal African and in particular, Nigerian, criminal activity which is spreading worldwide. 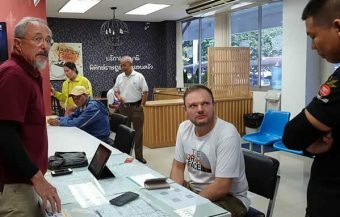 Lieutenant General Surachate Hapkarn has indicated that Canadian authorities are co-operating with Thailand’s attempts to extradite the 38 year old Nigerian, John Odoemenam, formerly identified by the media in Thailand as South African, Mzwakhe Memela, to face charges of premeditated murder. This may not, however be quite straightforward as it is likely the African will fight the extradition request in a Canadian court. In 2001, a landmark decision by the Canadian Supreme Court set a precedent that Canada may not extradite offenders to another jurisdiction where they may be subject to the death penalty. This would be the case in Thailand which retains the death penalty for a range of offences including the one this suspect may be charged with in Thailand. 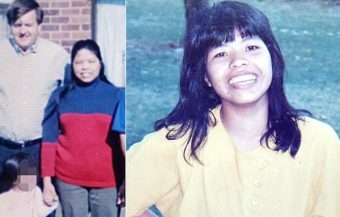 The case in Canada involved two Canadians who had admitted to a brutal triple murder in the United States. It may well be that this legal precedent will be used by lawyers in Canada to argue against the extradition of the Nigerian to Thailand. Thailand resumed executions in June 2018 when it put to death 26 year old Thai man Theerasak Longji who committed murder while robbing a smartphone. The execution took place at Bangkok’s Bang Kwang prison. Canada does allow, however, for the extradition of suspects to countries that still practice the death penalty where explicit assurances are received from the country, making the extradition request, that the suspect will not face the ultimate punishment. Such an assurance is provided for under Canadian extradition law. Meanwhile, we have learned that the Thai woman, Susama Reunrit, is reported to have been married to a Nigerian man and was the mother of 3 children with him. She is believed to have been operating a thriving jewelry business selling valuable items made to order to international clients. Her deeply distraught family and friends held a funeral for the Thai women last week at the Wat Thewasangkharam in Kanchanaburi and she was later cremated on Thursday. 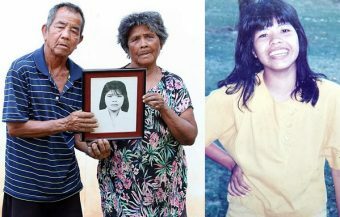 Her father, 63 year old Prapreut Ruenrit, was overcome by grief this week. 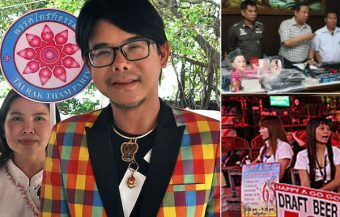 He revealed that the Thai woman had left for Bangkok last Saturday planning to hand over an expensive piece of jewelry to one of her customers with whom she had planned to meet at the hotel. Staff at the hotel, on the outskirts of Bangkok, suggested last week that Ms Ruenrit was a regular customer as was the African man. This was also alluded to by her father who suggested that the Nigerian was a former customer of the Thai woman who had earned her trust by purchasing items from her before. 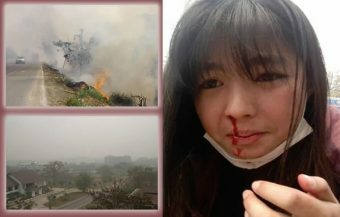 Her father revealed that he was shocked to receive a phone call last Sunday morning from the Thai police to tell him of his daughter’s brutal demise. He was at a loss to know what could have happened. 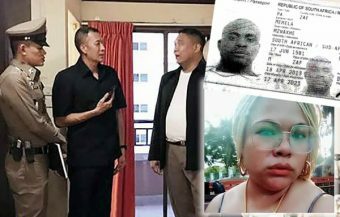 He also recalled that his daughter may have been robbed suggesting that up to ฿700,000 of cash, gold and jewelry were taken from the scene of her murder presumably by her attacker, the 38 years old African suspect now revealed to be Nigerian man, John Odoemenam. The Thai woman had checked into her room at the hotel on Saturday evening last and then went out to dinner. She returned at 4 am. Hotel staff and a Dutch friend, staying adjacent to her room, entered her hotel room later in the day when phone calls were unanswered. They found her body lying wrapped in a sheet. 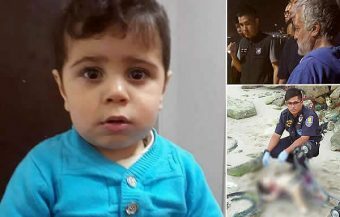 Police later learned from CCTV footage that the Nigerian man had entered Susama Reunrit’s hotel room at 8 am and emerged at 8.45 am. The Thai police immediately mounted a search for the fugitive including an alert to all immigration border points. However, the 38 year old African managed to get out of Thailand. By Tuesday, Thailand’s immigration police announced that he had been arrested in Vancouver, Canada, having flown there via Hong Kong. Police Lieutenant General Hapkarn said last week that the Nigerian, reported also to use the identity of 38 year old South African Mzwakhe Memela, had entered Thailand twice, on both occasions, being granted a tourist visa. The Thai police are now reported to be sending fingerprint data to Vancouver to confirm the identity of the suspect they are holding there. 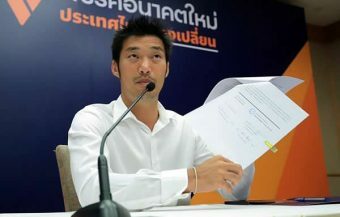 The immigration police boss has said that he is confident that the African will be returned to Thailand to face charges. It is expected that the extradition process will take up to three weeks to finalize. Police Lieutenant General Hapkarn said that he was pleased that the murder suspect had been apprehended within 48 hours of his flight from the murder scene in Thailand. The police chief is a major proponent of cooperation worldwide between police forces to fight criminality. 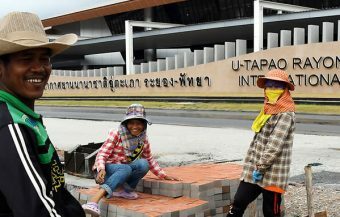 Thailand’s immigration police and officials hold regular events where they reach out to international police forces and authorities involved in the fight against crime, both in Thailand and around the world. The police chief is also a regular visitor to other countries in his campaign to keep Thailand’s borders safe as well as fighting criminal activity within. On Monday last, after learning the the Nigerian suspect also known as 38 year old Mzwakhe Memela had reached as far Hong Kong, the Thai authorities turned to both Interpol and Hong Kong police forces in their search for the suspect. By Tuesday, he was in police custody in Vancouver.